Australian Bauxite Limited (ABx) announced to the market yesterday that its wholly-owned subsidiary ALCORE Limited will have the rights to employ ALCORE technology throughout the world. In a press release issued yesterday, ABx said that the technology, which is used in producing aluminium fluoride (AlF3), will be available to ALCORE for utilization as it builds plants abroad. 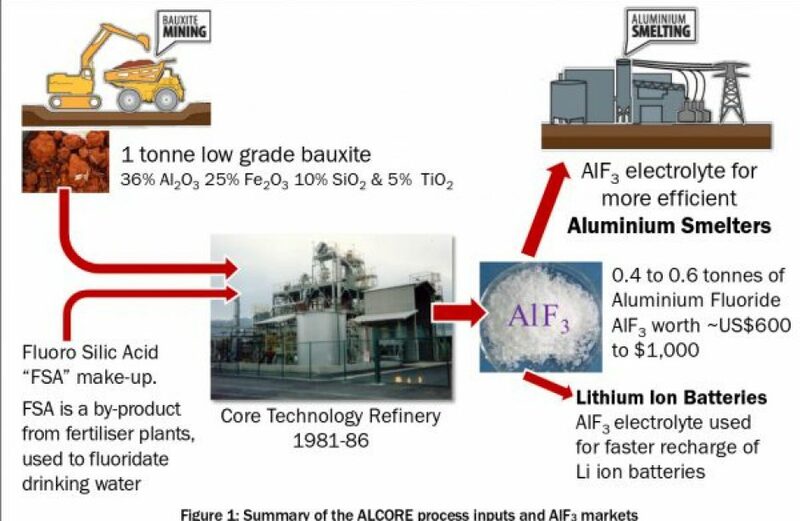 The process will yield more AlF3 at a lower cost in order to meet an ever-expanding demand, especially in the manufacture of lithium-ion batteries. Plants utilizing the process have already begun construction, with groundwork laid on such a plant in New South Wales last month. Once commissioned, the plant will produce AlF3 for the production of Corethane, a pure hydrocarbon powder derived from coal that can be used either as thermal power or in high-efficiency batteries. ABx’s CEO Ian Levy greeted the news as a major advancement in the ALCORE project and the technology it utilizes. “Step by step, ABx is bringing ALCORE’s powerful new bauxite refining technology closer to becoming an important domestic producer and supplier of key AlF3 products for the Australasian aluminium smelters. However, in the longer-term, these global technology rights allow ALCORE Limited to produce AlF3 in any location globally. Creating ALCORE Limited as a project-specific subsidiary is expected to unlock considerable value for shareholders in both the short and medium terms. Based in Sydney, ABx conducts operations in Tasmania, Queensland, and New South Wales. The firm boasts combined JORC resources of 124 million metric tons in twenty-two tenements covering almost two thousand square kilometers in Eastern Australia. Its Binjour tenement in Queensland is considered by the company to be its flagship project.